Here at Yarwoods Excavator Attachments Ltd we are specialists in all demolition equipment hire in Scotland, North West, North East and all over the UK. Here at Yarwoods we have a great reputation for excellence in service and product reliability. We will go the extra mile to ensure that any demolition equipment you hire from us will give 100% satisfaction. 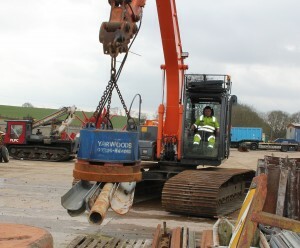 For all of your demolition equipment hire needs in the UK look no further than Yarwoods. We provide demolition equipment hire services throughout Scotland, North West, North East and the UK as a whole, including Glasgow, Edinburgh, Lanarkshire, Inverness, Newcastle, Yorkshire and Carlisle and many more.